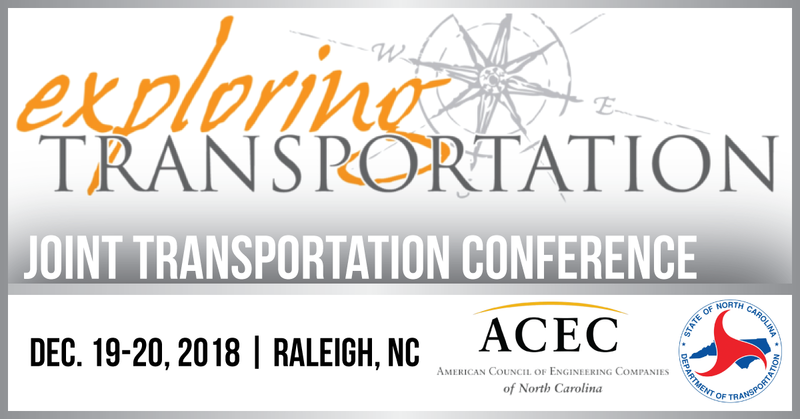 GEL Solutions will be attending this year’s ACEC/NC NCDOT Joint Transportation Conference. The event, held on December 19th and 20th is the largest transportation event in the state. We are looking forward to this and hope to see you in Raleigh! More info here.